If it was just Kratos it would be expensive, but this is a diorama. The base seems massive as well. The price is justified I think. Sorry, I've been playing catchup after PSX and the holidays. 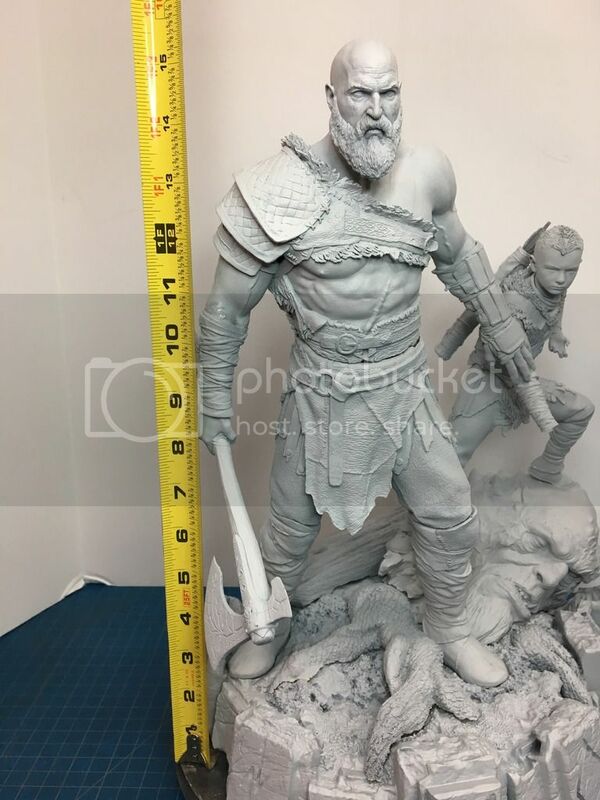 Yes, the new Kratos and Atreus statue is one that I'm working on. The models and pose was designed by Rafael Grassetti, the new GoW game's creative director. He's an amazing artist and you can see his work online at places like DeviantArt. This statue has a ton of detail. The reason for the cost is that you have two highly detailed characters and a very large base with a severed troll head, tree branches, etc. I did my best to bring the costs in lower, but there was just. I way. It's an amazing piece, and I'm sure you'll be happy with the end result. It's also slightly over 15" tall, so it's a really good sized piece. Looks really great Gary! So hyped for the new game and of course this makes it even better. Definite PO! Nice to see his son in this diorama as well! Thanks! We're shooting for a March release around the same time as the game. Did you just spoil a rough idea of the release date? I would love to get this, but i wont. In the beginning, the universe was created. This has made a lot of people very unhappy and has widely been seen as a bad move. Last edited by Spect3r; 01-12-2018 at 10:41 AM. Lol! Well, that rough idea is posted on the web when you Google it. However, I'm not privy to the game's release schedule (I make statues, but I have nothing to do with game development), so that's why I said "around". Last edited by garybarth; 01-12-2018 at 05:20 PM. I understand. We're trying to set up some distribution through our European Gear Store. Stay tuned! 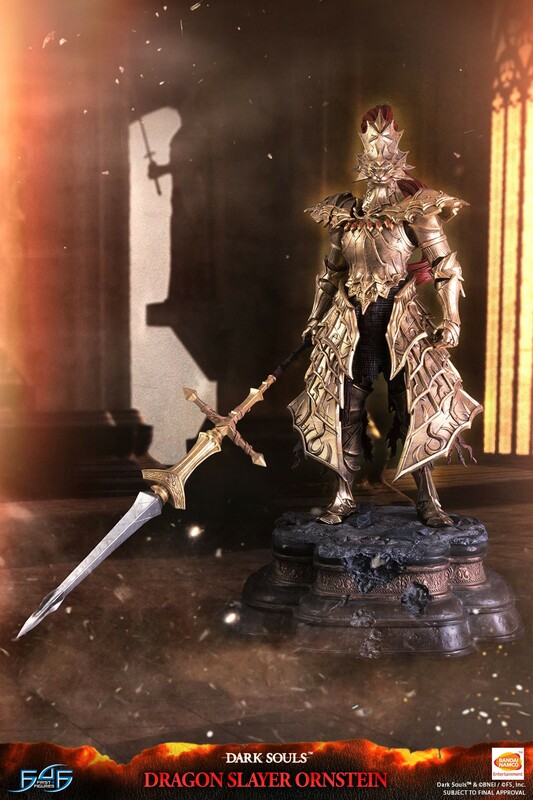 Ornstein is now up for PO! 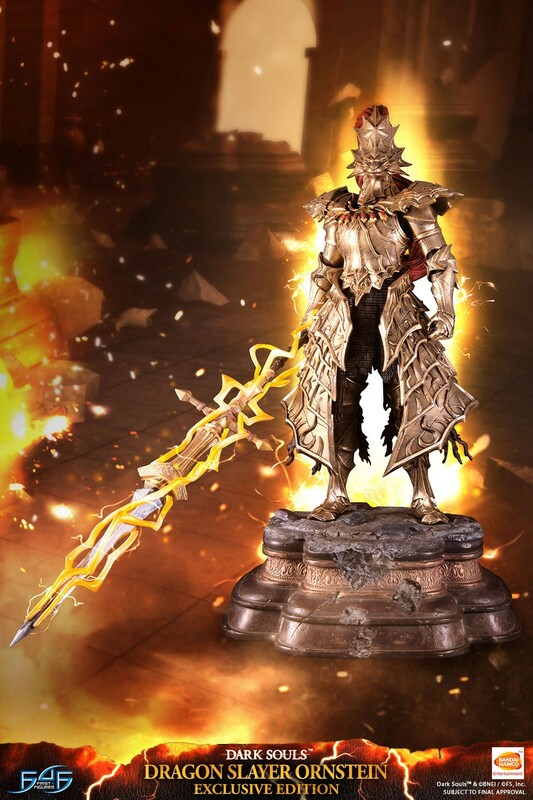 ex comes with exra lightning spear.